In this period, there was no tradition of scientific medicine, and observations went hand in hand with spiritual and religious influences. “The glory that was Greece and the grandeur that was Rome” ended when Rome fell to Germanic tribes in the 5th century AD. The Ancient Romans, Greeks, and Egyptians had pushed forward medical knowledge, but after the demise of these civilizations, artistic, cultural, and scientific outputs were sadly lacking when compared to both earlier and later times. Medical knowledge stagnated in the Middle Ages and did not develop until the 17th/18th centuries. The center of Western learning shifted to Constantinople (now Istanbul), the capital of the Byzantine Empire, which had been Christian since the 4th century AD, with the conversion of the Roman emperor Constantine. The Church quickly gained converts – and power – throughout Western Europe. The Roman Catholic Church effectively dominated what direction the medical world took. Any view different from the established Roman Catholic view was labeled heresy and punished accordingly. The Roman Catholic Church stated that illnesses were punishments from God and those who were ill were so because they were sinners. No one contradicted such world view; it was accepted. Suffering was seen as part of the human condition. As people became obsessed with their souls, they neglected their bodies; medicine became a matter of faith and prescriptions became prayers. Medicine became steeped in superstition. Ideas about the origin and cure of disease were based on factors such as destiny, sin, and heavenly influences. Therefore, in this period, there was no tradition of scientific medicine, and observations went hand in hand with spiritual and religious influences. 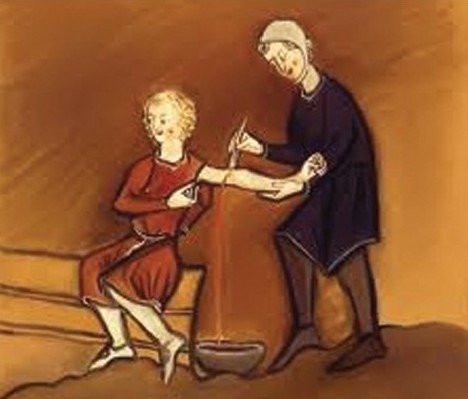 Medicine during the Middle Ages was composed of a mixture of existing ideas from antiquity and spiritual influences. Standard medical knowledge was based chiefly upon surviving Greek and Roman texts preserved in monasteries and elsewhere. The Greek concept of the four humors as revised by Galen was the basis of all diagnosis and treatment, but it had evolved into a theory of temperament, which accounted for psychological and social as well as physical characteristics. An excess of blood, phlegm, yellow bile, or black bile made a person sanguine, phlegmatic, choleric, or melancholic. 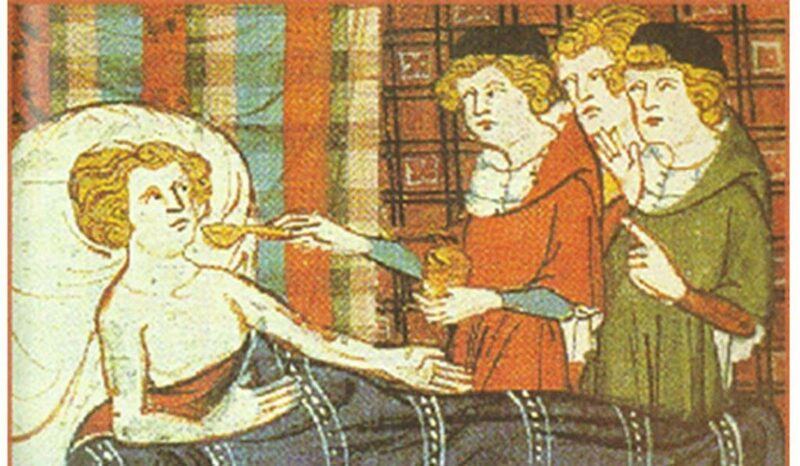 Physicians were, however, trained in the art of diagnosis: observation, palpation, feeling the pulse, and urine examination were the tools of the doctor throughout the Middle Ages. They were often shown in manuscripts holding a urine flask up for inspection or feeling the pulse. On first visiting patients, doctors noted their appearance, listened to their stories, felt their pulses, and examined their urine. 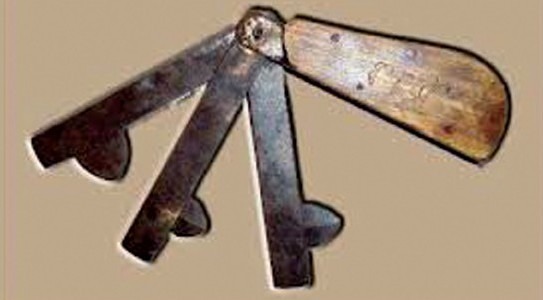 Urine inspection was the most common method of diagnosis and the urine flask became the symbol of the doctor. In our time of course, the stethoscope is the symbol of the doctor, but that too may change. The belief in classical antiquity that the moon and planets played an important part in good health continued in the Middle Ages. They believed that the human body and the planets were made up of the same four elements (earth, fire, air, and water). For the body to operate well, all four elements had to be in harmony with no imbalances. It was believed that the moon had the greatest influence on fluids on earth, and that it was the moon that had the ability to affect positively or negatively the four elements in the body. Where the moon and planets were, a knowledge of this was considered important when making a diagnosis and deciding on a course of treatment. Physicians needed to know when to treat a patient and when not to, and the position of the planets determined this. A so-called Zodiac Chart also determined when bloodletting should be done as it was believed by some that the moon and planets determined this as well. Medical charts informed physicians what not to do for people born under a certain astrology sign. 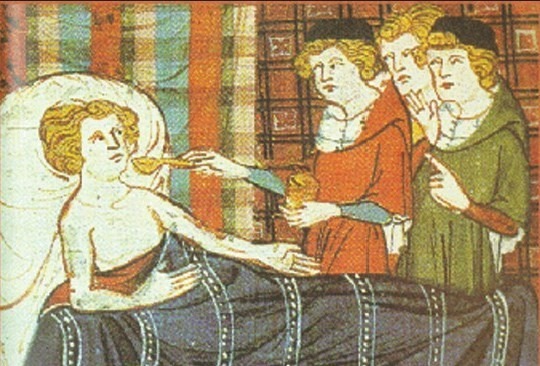 Galen was the most influential ancient physician during the Middle Ages. He held undisputed authority over medicine in the Middle Ages. He described the four classic symptoms of inflammation (redness, pain, heat, and swelling) and added much to the knowledge of infectious disease and pharmacology. His anatomic knowledge of humans was defective because it was based on dissection of animals, mainly apes, sheep, goats, and pigs. Some of Galen’s teachings tended to hold back medical progress. His theory, for example, that the blood carried the pneuma, or life spirit, which gave it its red color, coupled with the erroneous notion that the blood passed through a porous wall between the ventricles of the heart, delayed the understanding of circulation and did much to discourage research in physiology. His most important work, however, was in the field of the form and function of muscles and the function of the areas of the spinal cord. He also excelled in diagnosis and prognosis. The importance of Galen’s work cannot be underestimated, for through his writings, knowledge of Greek medicine was subsequently transmitted to the Western world by the Arabs. Herbs, flowers, and perfumes formed a large part of everyday life in the Middle Ages and were inextricably linked with magic and medicine. Medicinal plants and herbs were an important and major part in the pharmacopeia. Medicines were made from herbs, spices, and resins. Dioscorides, a Greek, wrote his Materia Medica in 65 AD. This was a practical text dealing with the medicinal use of more than 600 plants in the second century. Although the original text of Dioscorides is lost, there are many surviving copies. His texts formed the basis of much of the herbal medicine practiced until 1500 . Some plants were used for specific disorders, while others were credited with curing multiple diseases. In many cases, preparations were made of many different herbs. The oldest surviving English herbal manuscript is the Saxon Leech Book of Baldwritten in about AD 900–950. Vapor and herb baths were prescribed for all kinds of ailments. The book shows how common it was to “smoke” the sick with fragrant woods and plants. Scented garlands decorated homes. Every herb, every tree, and every flower had its own special quality. But of all the scents, the rose is the one most associated with the Middle Ages. Crusaders brought home many different kinds of perfumes from the Middle East; one among them was rosewater and the nobility put bowls of rosewater for guests to wash their hands after meals. Rose petals were also used to perfume baths. However, in the Middle Ages, the study of medicinal plants was in the hands of monks who in their monasteries planted and experimented on the species described in classic texts. No monastic garden would have been complete without medicinal plants. The sick went to the monastery, local herbalist, or apothecary to obtain healing herbs. Most monasteries developed herb gardens for use in the production of herbal cures, and these remained a part of folk medicine, as well as were being used by some professional physicians. Books of herbal remedies were produced by monks as many monks were skilled at producing books and manuscripts and tending both medicinal gardens and the sick. However, works of this period simply imitated those of classical antiquity. Pliny’s work Naturalis Historia, a work that includes myths and folklore, trees, and medicinal plants, and written in about 77–79 AD, and Dioscordes’ De Materia Medica are frequently mentioned in classical antiquity and translations are widely copied in the Middle Ages. Headache and aching joints were treated with sweet-smelling herbs such as rose, lavender, sage, and hay. A mixture of henbane and hemlock was applied to aching joints. Coriander was used to reduce fever. Stomach pains and sickness were treated with wormwood, mint, and balm. Lung problems were treated with a medicine made of liquorice and comfrey. Cough syrups and drinks were prescribed for chest and head-colds and coughs. Wounds were cleaned and vinegar was widely used as a cleansing agent as it was believed that it would kill disease. Mint was used in treating venom and wounds. Myrrh was used as an antiseptic on wounds. There was no experimentation to test the efficacy of a particular herb treatment on ailments. If successful, it was ascribed to their action upon the humors within the body and the belief that such natural herbal remedies must have been intended for such purpose by God. As Origen, an early Christian theologian and Biblical scholar stated, “For those who are adorned with religion use physicians as servants of God, knowing that he himself assigned both herbs and other things to grow on the earth.” Such interweaving of medicine and religion, of medical thought and theological considerations is striking in the medieval period. The use of herbs also drew on the doctrine of signatures, a philosophy shared by herbalists from the time of Dioscorides to Galen and which stated that herbs that resemble various parts of the body can be used to treat ailments of that part of the body. For example, the spotted leaves of lungwort, which was used for tuberculosis, bear a similarity to the lungs of a diseased patient. The medieval Christian Church provided a theological justification for this philosophy by reasoning that God had provided some form of alleviation for every ill, and these things, be they animal, vegetal, or mineral, carried a mark or a signature upon them that gave an indication of their usefulness. This of course is regarded as superstition since there is no scientific evidence whatsoever that plant shapes and colors help in the discovery of medical uses of plants. One of the most devastating pandemics in human history was The Black Death. It is thought to have started in China or central Asia before spreading west. It swept through the Mediterranean and Europe in the 13th and 14th centuries. By 1349, one-third of the Islamic world had perished and is thought to have killed 30–60% of Europe’s population. It took 150 years for Europe’s population to recover. The plague reoccurred occasionally in Europe until the 19th century. The aftermath of the plague created a series of religious, social, and economic upheavals which had profound effects on the course of European history. The Black Death arrived in Europe by sea in October 1347 when 12 Genoese trading ships docked at the Sicilian port of Messina after a long journey through the Black Sea. The people who gathered on the docks to greet the ships were met with a horrifying surprise: Most of the sailors aboard the ships were dead, and those who were still alive were gravely ill. They were overcome with fever, unable to keep food down, and were delirious from pain. Strangest of all, they were covered in mysterious black boils that oozed blood and pus and gave their illness its name, the “Black Death.” The Sicilian authorities hastily ordered the fleet of “death ships” out of the harbor, but it was too late: Over the next 5 years, the mysterious Black Death would kill more than 20 million people in Europe – almost one-third of the continent’s population. Even before the “death ships” pulled into port at Messina, many Europeans had heard rumors about a “Great Pestilence” that was carving a deadly path across the trade routes of the Near and Far East. (Early in the 1340s, the disease had struck China, India, Persia, Syria, and Egypt.) However, they were not equipped for the horrible reality of the Black Death. 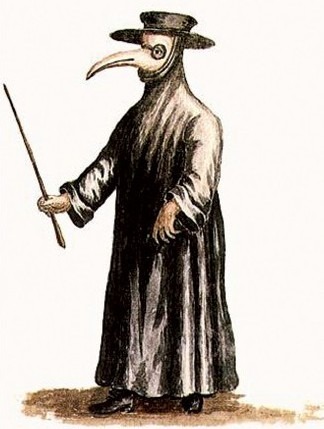 The Black Death was terrifyingly contagious. When people who were perfectly healthy went to bed at night, they could be dead by morning. 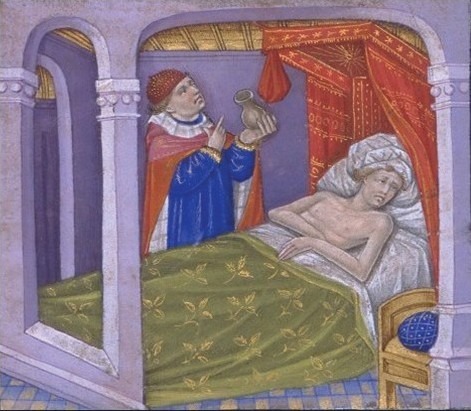 How did the people of the Middle Ages cope with such a horrible disease? No medical knowledge existed at the time to deal with the infection. Bacteria and contagion were unknown. Medieval doctors tended to blame a “pestilential atmosphere” caused either by planetary conjunction or by earthquakes and volcanic eruptions that had occurred before the disease appeared. Doctors tried every possible cure and prevention. 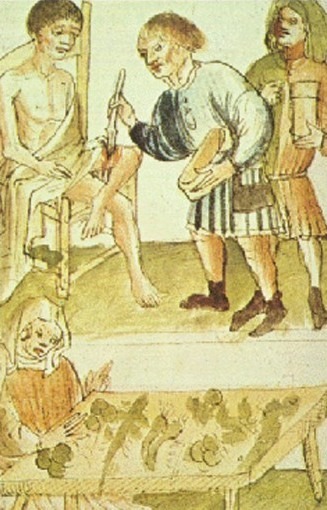 Physicians relied on crude and unsophisticated techniques such as bloodletting and boil-lancing (practices that were dangerous as well as unsanitary) and superstitious practices such as burning aromatic herbs and bathing in rosewater or vinegar. Some stressed that “olive oil, as an article of food is fatal ¼ Bathing is injurious.” Others believed that the air had become “stiff” and had to be broken up by loud noises. So, bells were rung, guns were fired, and birds were released to fly around rooms. In the absence of medical understanding of such a frightful disease, people turned to prayers and pilgrimage. According to the Church, the Black Death was God’s punishment for the sinfulness of humankind. People invoked Christ, the Virgin Mary, and saints for help. 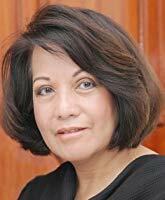 People who believed that they had sinned showed their true repentance by inflicting pain on themselves – the so-called flagellants who whipped themselves to show their love of God and their true repentance at being a sinner, a practice that is still re-enacted during Holy Week in some Catholic countries. Clearly, of course, this custom was no cure for the plague, but power of faith was potent medicine for the sick in the Middle Ages. Today, physicians understand that the Black Death, now known as the plague, is spread by a bacillus called Yersina pestis. (The French biologist Alexandre Yersin discovered this germ at the end of the 19th century.) They know that the bacillus travels from person to person through the air and saliva, as well as through the bite of infected fleas and rats. Both of these pests could be found almost everywhere in medieval Europe, but they were particularly at home aboard ships of all kinds – which is how the deadly plague made its way through one European port city after another. Not long after Genoese trading ships brought the disease to Messina, Sicily, the Black Death spread to the port of Marseilles in France and the port of Tunis in North Africa. Then it reached Rome and Florence, two cities at the center of an elaborate web of trade routes. By the middle of 1348, the Black Death had struck Paris, Bordeaux, Lyon, and London. This grim sequence of events is terrifying, but comprehensible to us today. In the middle of the 14th century, however, there seemed to be no rational explanation for it. No one knew exactly how the Black Death was transmitted from one patient to another. According to one doctor, for example, “instantaneous death occurs when the aerial spirit escaping from the eyes of the sick man strikes the healthy person standing near and looking at the sick.” No one knew how to prevent or treat it. The Black Death epidemic had run its course by the early 1350s, but the plague reappeared every few generations for centuries. Modern sanitation, public-health practices, and antibiotics have greatly diminished the impact of the disease, but have not eliminated it. Currently, plague occurs in fewer than 3000 people per year worldwide. It can be deadly if not treated promptly with antibiotics. [Rieux] knew that … the plague bacillus never dies or vanishes entirely … it can remain dormant for dozens of years in furniture or clothing … it waits patiently in bedrooms, cellars, trunks, handkerchiefs and old papers, and … perhaps the day will come when, for the instruction or misfortune of mankind, the plague will rouse its rats and send them to die in some well-contented city. The Black Death epidemic in the 14th century was catastrophic to European medicine for prevailing medical theories focused on religious rather scientific explanations for this epidemic. Jenny Sutcliffe, Nancy Duin. A history of medicine from history to the year 2020. USA: Barnes and Noble Inc; 1992. Albert Lyons, R. Joseph Petrucelli II. Medicine An Illustrated History. New York: Henry N. Atnams Inc., Publishers; 1987. Roy Genders. A History of Scent. New York, USA: Hamilton Publishers; 1972. Albert Camus. Tr. Robin Buss. The Plague. Penguin Classics 2002. Originally published by Heart Views 13:4 (Oct-Dec 2012, 158-162), DOI:10.4103/1995-705X.105744, republished by the U.S. National Library of Medicine under the terms of a Creative Commons Attribution-Noncommercial-Share Alike 3.0 Unported license. This entry was posted in Uncategorized and tagged Disease, Health, History, Medicine, Medieval, Middle Ages. Bookmark the permalink.